Drake Cleaning complete both Commercial & Residential window cleaning using the Reach & Wash system that enables the window operative to remain on the ground while being able to clean up to a height of 65 feet. The Reach & Wash system filters up to 600 litres of water through a filtration process that will leave the water completely pure.The windows are washed using a carbon fibre pole that passes hot water onto the glass leaving a sparkling smear free window. This means the Reach & Wash system is completely chemical free. No job is too small. 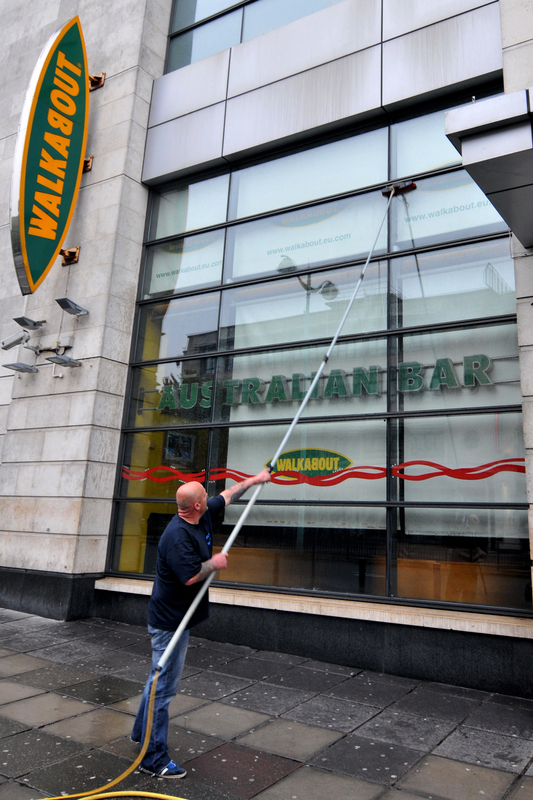 If you need a one-time window clean, or are after regular scheduled window cleaning, then contact us to discuss. Turn to DRAKE CLEANING SERVICES for a reliable Window Cleaning Service .We are happy to discuss your specific requirement so please either call or use the contact page for a quote.